LOS ANGELES – The County Health Officer is issuing a Cold Weather Advisory for the Lancaster due to the National Weather Service’s forecast for low temperatures tonight and lasting through Tuesday. 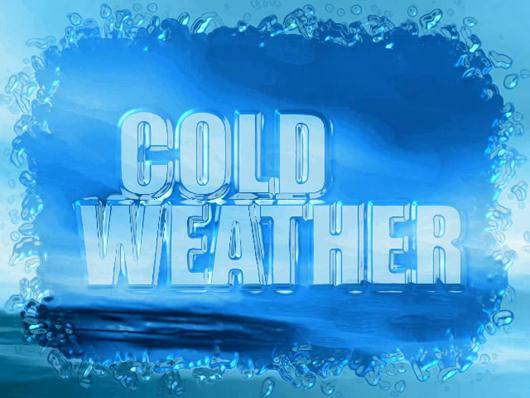 Wind chill temperatures are expected to be in the single digits and high 10s for Lancaster. A Winter Shelter Program is available for seniors and those looking for a place to stay warm. Locations and transportation information can be found on the Los Angeles Homeless Services Authority’s website at: http://www.lahsa.org/winter_shelter_program.asp, or by calling the LA County Information line at 2-1-1 from any landline or cell phone. The deaf and hard of hearing should call the TDD line at 1-800-660-4026. Dress in layers of warm clothing if you plan to be outdoors. Protect extremities from the cold by wearing a hat, scarf, gloves, and socks. Offer to help those in your neighborhood with limited access to heat, such as seniors or those who are ill. Check on them frequently. During peak cold times, if you don’t have a heater in your home, visit indoor public facilities such as shopping malls, libraries or senior centers. If you use an outdoor generator at home, place it at least 10 feet away from all doors and windows. If you have pets, bring them indoors and do not leave them outside overnight. Stoves, barbeques and ovens can produce a deadly gas known as carbon monoxide when used to heat a home. Never use these appliances in place of approved heaters such as electric, natural gas, or fireplaces. Install a carbon monoxide detector in your home to reduce the risk of poisoning. Symptoms of carbon monoxide poisoning include shortness of breath, headaches, muscle and joint pain, and nausea. Exposure to high levels of carbon monoxide could lead to death within minutes. Those suffering from carbon monoxide poisoning should be taken outside, into fresh air, immediately, and should be taken to an emergency room for immediate medical treatment. 1 comment for "Cold Weather Advisory for Lancaster"
A successful business requires an accomplished management team, even if it is a team of one.Amazing post! I initially found your blog a week or so ago, and I want to subscribe to your RSS feed.